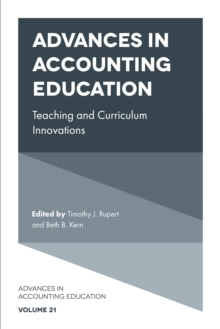 All articles in this book explain how teaching methods or curricula/programs can be improved. Non-empirical papers are academically rigorous, and specifically discuss the institutional context of a course or program, as well as any relevant tradeoffs or policy issues. Empirical reports exhibit sound research design and execution, and develop a thorough motivation and literature review, including references from outside the accounting field, where appropriate. 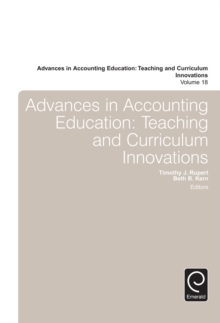 Volume 20 includes papers that examine topics: assisting students with career selection via personality assessments to enhance students' comprehension of the accounting cycle, incorporating exercises in an auditing course to help students better understand analytical procedures and developing journal lists to assist with departmental decisions. 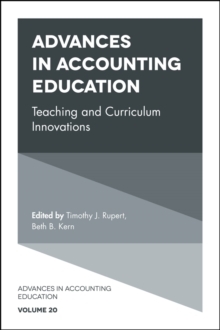 This also includes a special section that examines efforts to integrate accounting with other core business disciplines in the curriculum. 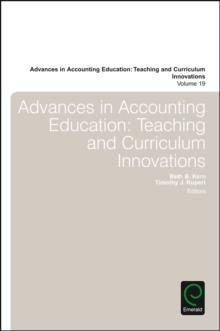 This section includes two papers from instructors who have developed theme-based accounting ethics courses. In these cases the instructor focuses the course on developing wisdom in accounting decisions and development with a leadership focus.